Happy 11 months Sloane and Maisie! Maisie is the sweetest. She absolutely loves standing and gets so excited every time she does. She is super patient, even when Sloane steals her paci (most of the time) and loves being around everyone else. My guess is that her first word will be “Dada” – she is so close! Sloane is our squealer and Maisie is our belly laugher. They are both awesome eaters and sleepers and crawling around non stop. Their new favorite trick is clapping when you say yay! And they are always ready to wave bye-bye in unison. My favorite thing at this stage is when I sit on the floor and they immediately crawl over and get in my lap. Pure sweetness with these two! Love them! They are currently outgrowing all of their 9 month clothes and moving into 12 month clothes. Only exception is pjs- 12 month are getting too short already and so soon we will be on to 18 month. 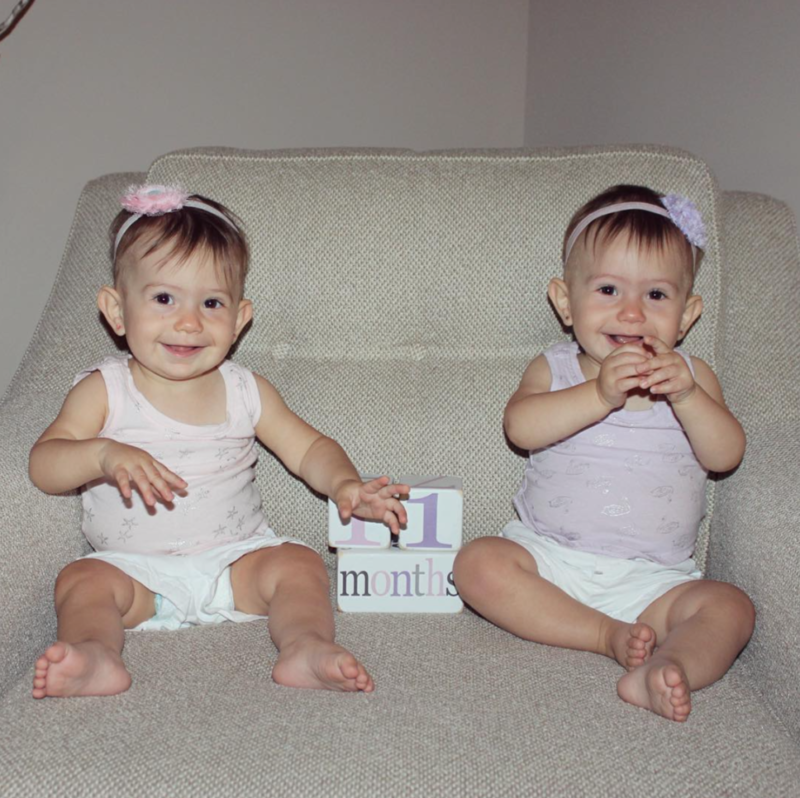 This entry was posted in Baby, Family, Lists, Twins by annettelharvey. Bookmark the permalink.